Home › canine diabetes › diabetes › diabetic › health › insulin › veterinarian › Canine Diabetes; is Your Dog at Risk? Besides weight and age, diet is another significant factor. Dogs given table scraps without discrimination are particularly at risk. The importance of diet cannot be over emphasized, warns Flitner. Flitner notes many pet owners mistakenly feel caring for a diabetic pet would be too difficult for them, an assumption that complicates the decision making process at a critical time. "People need to know by regulating their pet's diabetes, that pet can still live to their full potential," said Flitner, acknowledging most care givers consider their pet an important part the family and struggle to make right health care decisions for them. Early warning signs that might indicate diabetes in your pet include: an unusually high consumption of water, increase in appetite, incontinence, lethargy, extreme changes in eyes (i.e. cataracts), lack of coordination, and vomiting. 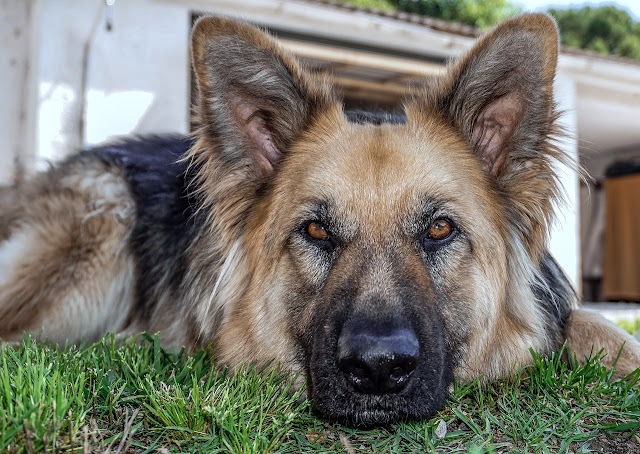 Care givers who note such changes in their dog should promptly call a qualified professional, because examination by a veterinarian is important and necessary for proper diagnosis. In the case of diabetic canines, drinking large amounts of water is the dog's attempt to flush glucose out of the kidneys which has spilled over from the blood. If the glucose doesn't get flushed out, serious damage to the kidneys and other organs can develop. The best preventative measures against serious health problems in the family pet remain simple and practical: regular veterinary check ups, and a healthy diet. Exercise is also very important. Among other benefits, exercise helps increase the body's effective use of insulin.